We’re looking for a self-starter with a "can do" attitude, fantastic work ethic with strong administrative, organisational and communication skills, and who is bright and on the ball! Would you like to take ownership of a role with lots of potential for growth? As our Paralegal, you will provide our directors with effective, pro-active, professional and high quality support that enables them to focus on providing an excellent legal service to their clients. Our boutique family law firm is based in beautiful countryside offices outside Reading. We’re a dynamic, forward-thinking Legal 500 law firm specialising in family law and divorce. We offer our City-level expertise in a countryside setting to local, national and international clients. You will be part of a busy team, interacting daily with directors and clients to understand ever-changing needs. And there’s more, if you enjoy driving businesses forwards and helping progress them. This could include from establishing new systems in the office to help on marketing campaigns. The right candidate will receive a competitive salary based on experience together with a generous holiday allowance and other benefits. If you have the experience and ambition to make a difference please apply now. Please note you will need a car to drive to our location, as there is no direct public transport to our offices. 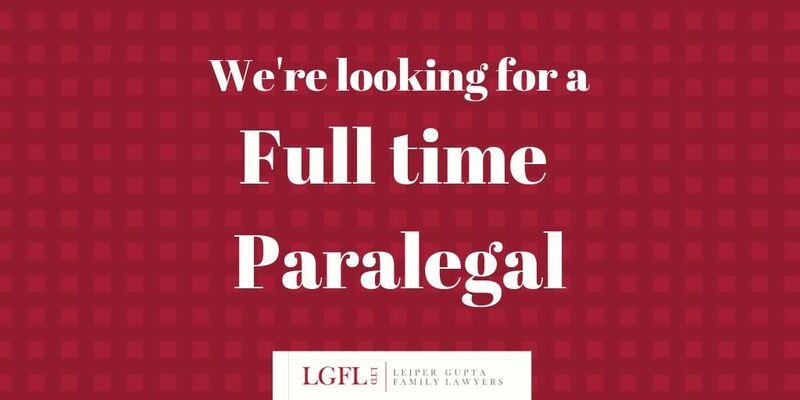 To apply, send your up-to-date CV to our Director, Rita Gupta, or call us on 01189 735521 for more information.